There are a lot of organizations and companies who have established their presence on social media. However, there are few who are attempting to engage their followers to truly build a community who will make recommendations which lead to sales. There is a lot more to encouraging each of your Facebook followers to share their thoughts about your product. First, not everyone is going to want to share your company’s news. Second, you don’t (and shouldn’t) want every single individual who likes your page to represent your brand. Understand and Identify: Gather information about your followers. If you can find individuals who are interacting with the brands they “like” on Facebook, they could be a good potential fan for your company. Motivate to Advocate: Yes, free products and services sound good for a time. But essentially you are buying their fandom, and they’ll only stick around while you’re still giving them free stuff. Look into what might produce sustainable relationships. The FanRally Platform has found that special offers, sneak previews, insider information, immediate access to products and services, and rewards and recognition are some of the best ways to excite followers. Gamification: An interesting word that sounds a little made up, but basically means using game mechanics in a non-game setting. Social media channels such as Foursquare are built around this concept. Users check in online at a physical location to earn badges in the virtual world. Check out this infographic about the Business of Gramification for more information. Favorite Networks: There are a lot of social media channels to choose from. Even among the top choices, there’s too many to participate in them all. Respect your follower’s time and generate your content using a main platform. There are going to be channels that help the most with your branding ideas; stick with the ones that work the best with your audience. Evaluate: We all know this is the last step to most lists, but it’s important to remember. Deliver your content, engage with your followers, encourage them to share, review, and advocate. Measure these actions and your branding ideas will fall into place through recommendations and sales. 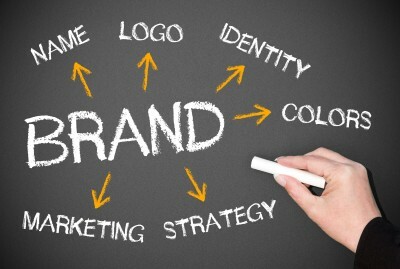 These branding ideas take time and effort before you’ll see a measurable result. Building relationships is part of this and relationships take time to create and maintain. Susan J. Campbell would love to help establish a sustainable relationship with your followers. Contact us to hear how we will implement these branding ideas in your company! This entry was posted in Brand, branding strategies and tagged brand, branding, branding ideas, branding strategy, branding tips, build brand value, content marketing, Facebook, SJC, social media, social media channels, social media tools, Susan J. Campbell Copywriting Solutions. Bookmark the permalink.